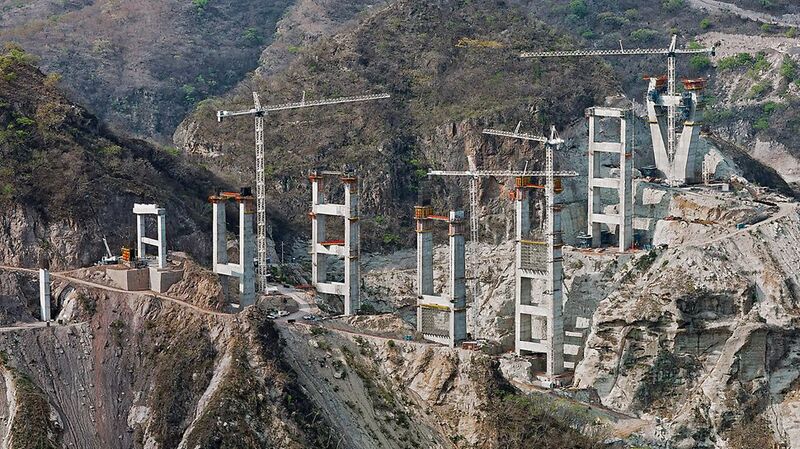 Construction of 2 lozenged (diamond-shaped) bridge pylons for a cable-stayed bridge. Construction of 9 double piers, braced via solid crossbars. At the time of construction, the Puente Baluarte is the third highest bridge in the world. We are extremely satisfied with the PERI systems and the efficient engineering – we were able to considerably accelerate the climbing cycles thanks to ACS. Despite the great height, we were able to work safely on the working platforms. Furthermore, we achieved excellent concrete surfaces, our customer is very satisfied.